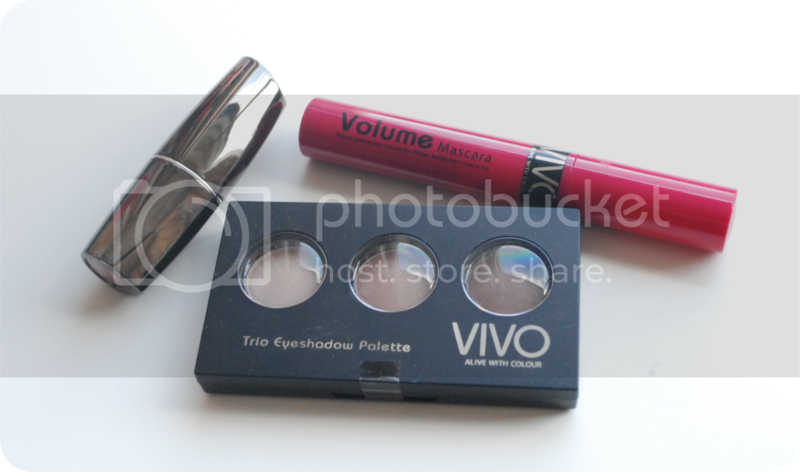 I was so excited about the launch of VIVO Cosmetics. Being exclusive to Tesco and all sold for between £1.50-£6, it was definitely a range I wanted to get my hands on and see what all the hype was about. I was gutted that my local Tesco doesn't sell VIVO yet, but thankfully I was sent a few things to try from Kerry... and here they are! 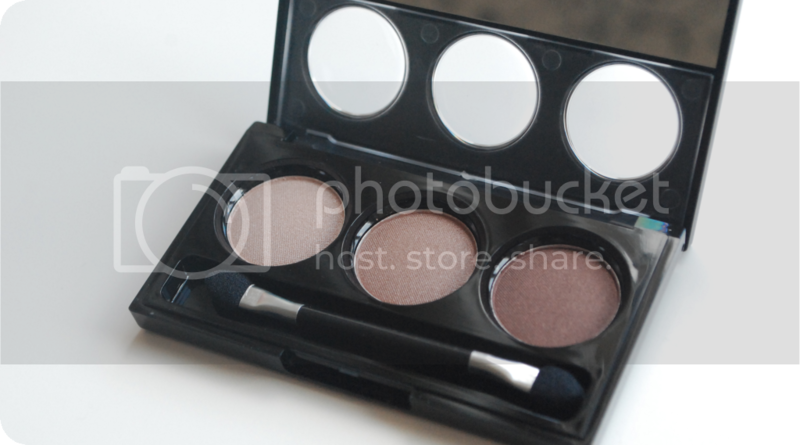 The trio eyeshadow palettes cost £2.50 each, with 5 different shades to choose from. I have Innocence, a lovely neutral, natural palette that I will most likely use for daytime. It also has a little diagram and how-to list to use the eyeshadow for smoky eyes - I thought that was a really nice touch! I was surprised at the pigmentation of each shade - very strong and no need to apply a lot in order to achieve the smoky eye look. My guess is the look would be better if used with a damp brush - more shimmery perhaps? I will probably start applying it that way, so the shades actually show up more. 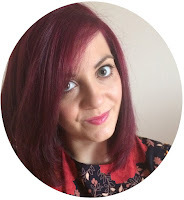 The mascara is a definite repurchase of mine in the future! For £2.59, it's absolutely AMAZING and does exactly what it says on the tin (or tube)... It adds plenty of volume, lengthens your lashes and makes your eyes look more intense. There's no gloopyness or mess whatsoever when you apply it, which is always a big thing that I worry about. 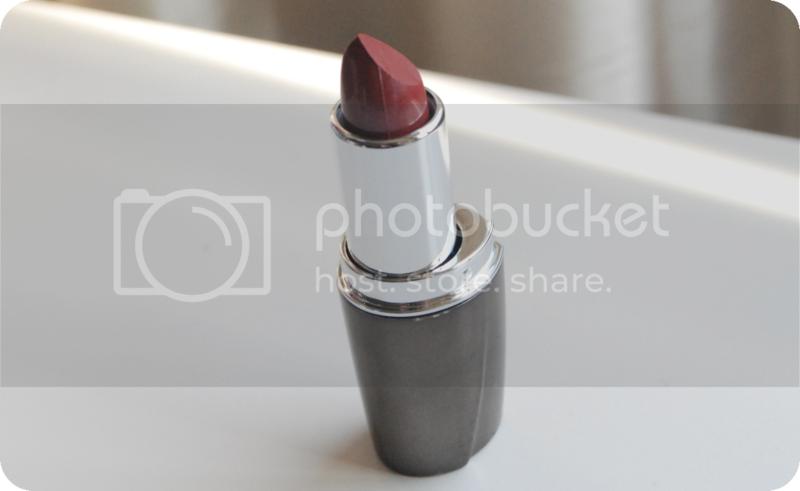 This lipstick is also a hit for me, especially since it retails at £1.99. I have Spiced Cinnamon, which is a nice deep red colour. I always get worried about dark lipsticks for me, as I fear I don't have the right skin/hair colour to pull it off, but I actually really like how this looks. It makes a statement, but at the same time it's not so dramatic and eye-catching. It just adds a bit of 'ooomph' to your look. I think these products are amazing value for money! Fingers crossed they open an e-commerce (check me and my fancy tech lingo now!) store soon so I can stock up. I desperately want to try the highlighter, but I'm nowhere near a Tesco that sell VIVO :( I can't get enough of the mascara though... I'm using it everyday, but I think I might use it for a night-time look instead, so my eyes become more dramatic. Have you tried VIVO before? What do you think of the products? Ahh, i love the look(and price!) of this brand but none of my local tesco sell them!